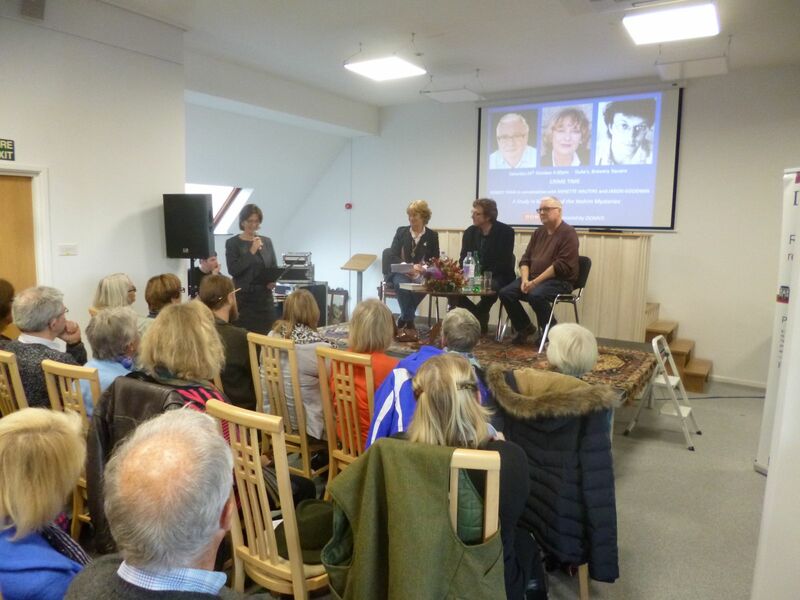 We were thrilled that the first ever Dorchester Literary Festival proved to be such a resounding success, with around 1500 visitors coming to enjoy the wide variety of talks on offer. 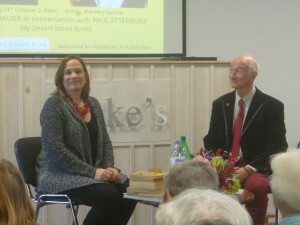 Headlining our first day was our patron Tracy Chevalier discussing her Desert Island Books with the festival’s co director Antiques Roadshow expert Paul Atterbury – a sell-out event in which Tracy movingly described how books had helped her through a difficult childhood, the loss of her mother, and inspired her own writing career. On the same day Dom Joly entertained the audience with hilarious descriptions of the trials and tribulations of dressing as a giant squirrel, Saul David discussed Operation Thunderbolt – the Raid on Entebbe, and Julian Fellowes entertainingly parried unexpected questions and triumphed in an unconventional interview by journalist Danny Danziger. Next day the packed programme continued with Hardy Today, in which popular romantic novelist Katie Fforde and acclaimed local author Natasha Solomons talked about Thomas Hardy’s romantic legacy and use of rural settings, with Hardy heavyweights Tony Fincham and Professor Barrie Bullen. Tom Fort took us on an amusing cycle ride along the Channel Shore, Marc Allum talked about antiques, then another large audience gathered to enjoy Crime Time, a panel discussion chaired by Minette Walters, with writers Jason Goodwin and Rob Ryan revealing the secrets of writing historical crime fiction, and the development of their intriguing hero detectives. The busy day ended with Catherine Mayer discussing her controversial biography of Prince Charles, and Richard and Judy talking about Judy’s blossoming writing career and latest novel I Do Not Sleep. The final day’s highlight was Kate Adie’s talk on Fighting on the Home Front, the Legacy of Women in the First World War. 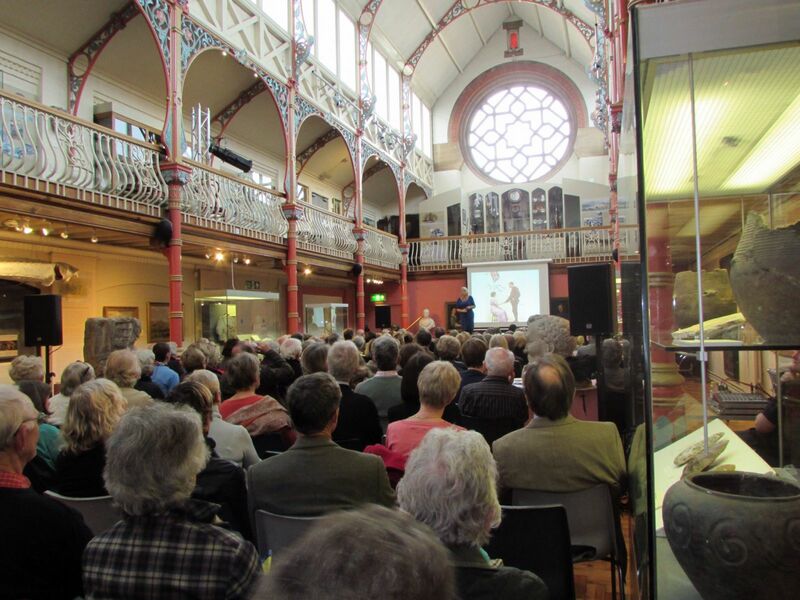 The Victorian Hall at the Dorset County Museum was packed as Kate explained that this was a moment of dramatic social change – until then it was generally thought that if women worked, ‘their brains would boil’. 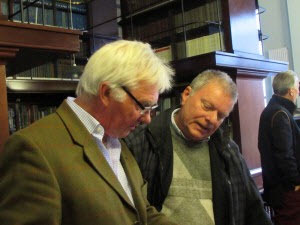 There was also a talk about publishing a first novel by Toby Vintcent, a discussion of 1915 and World War One by historian Allan Mallinson, and an insight into the life of a sports hack abroad by Martin Johnson. As well as the 14 main talks held in Duke’s Galleries and the Dorset County Museum, audiences enjoyed a variety of other events – a children’s monster pop-up book workshop, a children’s short story slam, a walk around Hardy’s Dorchester, and A Hardy Welcome, two sell-out and brilliantly original promenade dramas by the New Hardy Players, held at Max Gate. So now it’s all over what’s next? Thanks to the resoundingly positive response from sponsors and visitors’ demand we are keen to continue and make the DLF a regular event in Dorchester’s cultural calendar. The 2016 festival will take place from 19th-23rd October – until then here are some photos from this year to enjoy.